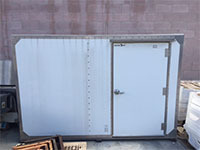 New Equipment Shelters - UsedShelter.com - Used Telecom Shelters & Cabinets for surplus/bargain prices! 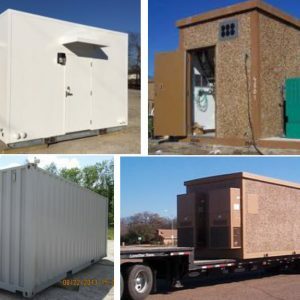 Tower Direct offers a diverse inventory of brand new, never used telecom shelters. These shelters are from some of the most recognized brand-name manufacturers in the industry, including Thermobond, PowerWave VersaFlex, Specialist Services, and Gichner. 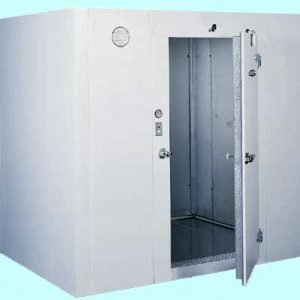 Primarily configured for telecom equipment purposes, these new shelters can be used in like-for-like telecom settings where protecting valuable and sensitive equipment is paramount. Or, they can be reconfigured to shelter other important equipment from the elements and vandalism. Some of the shelters have been manufactured to withstand the greatest extremes of environmental conditions. Others meet tactical military specifications for durability and mobility. 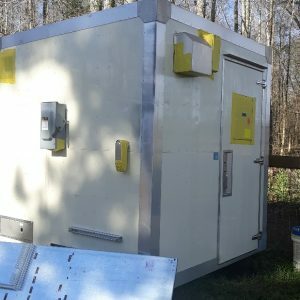 Any of the shelters may have been fitted with AC units with controllers or other special equipment. Explore the shelter possibilities from Tower Direct whether you are looking for a new telecom shelter or protection for other important equipment. You will find brand new shelters manufactured to the most demanding specifications – available at well below factory-direct prices. Your project budget dollars can stretch farther without sacrificing quality and security. The inventory of new telecom shelters continually changes. Contact Tower Direct for shelter details, availability, and pricing (some shelters are available at special volume pricing).